It’s unlikely that you’ll find intellectual or data capital as explicit assets on your company's balance sheet in the same way as you would find physical capital (buildings, stock etc. ), however for the majority of organisations of tomorrow, both intellectual and data capital will grow in importance, in most cases overtaking the value of physical capital. Imagine then, the potential when both people and data come together as a joint force! - in the words of Yoko Ono and quoted on numerous occasions by John Lennon; "A dream you dream alone is only a dream, a dream you dream together is reality". Intellectual Data(the joint force) could be that reality. This ability to bring people and data together optimising your organisations intellectual and data capital, where data informs human decisions, whilst humans determine the most relevant data that adds the most value to the business, will differentiate the innovative, creative and socially adaptable models of tomorrow from the often-static business models of today. Organisations need the right people, involved at the right time, in the right way to be able to make sense of what their data tells them about today ... and tomorrow. It’s one thing being sat on a potential gold mine of data, but how do you pan the nuggets from the residue? ... and how do you then translate this into a single view of both your organisation and customer's data? - the latter being imperative in understanding future purchasing trends and product needs for example. Of course, technology can help, but it shouldn’t be the starting point. The key is to have the right people in place who can sense what’s happening now and predict what’s likely to happen tomorrow, in order to realise the true potential and ultimate value of your data in alignment with your strategic objectives – Data Scientists perhaps? The role of the Data Scientist is seen as an exclusive and in-demand skill, but the truth is that we all need to be Data Scientists to some extent, working in small, agile groups across the business in order to understand, model and govern our data of today (detective analysis) to inform us of the customer, supplier and market demands of tomorrow (predictive analysis). As data becomes more prominent in every job role in every organisation, where machine learning and AI will reduce the need for lots of tedious data analysis roles, I believe that the data scientists of tomorrow will need less analytical skills and more predictive and sensory skills alongside strategic awareness of their internal and external environment, where organisations are able to use their data to drive well-informed rapid and continuous change. I thank you for reading and encourage you to share your thoughts with me through the relevant channels. This article is reposted from here as part of the partnership between Clear Consultancy Services and the Business Transformation Network. Ian Buttery is Director of Clear Consultancy, with a passion and primary focus to help organisations build the capabilities of their people to transform their data into business value. With the increasingly rapid pace of transformation, where organisations are required to respond quicker with shorter decision periods and earlier payback of their ROI around digital transformation initiatives, Clear Consultancy Services constantly challenge the equilibrium to deliver change success, enabling early adoption and greater utilisation of a new way of working, by putting people first. 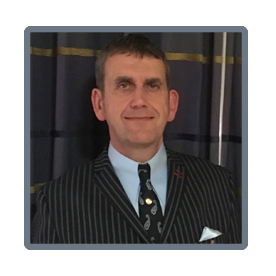 Ian has an MA in Applied Management for Organisational Change from Henley Business School, where his research on the Impact of Organisational Design & Behaviour on Individual Learning Capabilities gained him a distinction.